Striking Matches have been turning heads for a while now – previously deemed as one of Rolling Stone Country’s ‘Top 10 New Country Acts You Should Know’ and Buzzfeed’s ‘New Artists You Need in Your Life’, this guitar-welding duo have been busy building an impressive fan base – in fact you’re probably already one, especially if you watch CMT’s, Nashville. Comprising of Sarah Zimmermann and Justin Davis, Striking Matches “have a knack for constructing lovely songs”, hails Rolling Stone Country. The humble pair both started their journey when they moved to Nashville with dreams of becoming professional guitarists, without any preconceptions of being country artists. Enrolling at Nashville’s Belmont University to major in guitar, this became the setting that gelled the twosome together in 2007, when their professor paired them up and they have been mastering twin harmonies ever since. 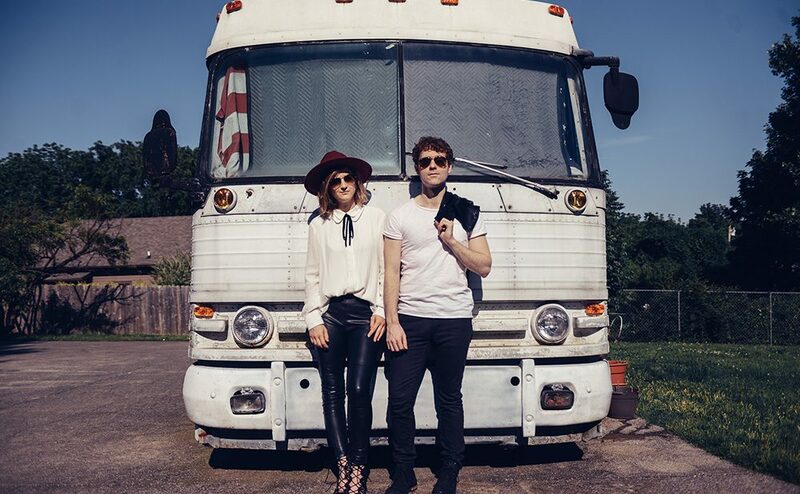 Fast forward a few years and the break came when Justin and Sarah – who were on a trip to Nashville, performed at Universal Publishing, and were heard by music supervisor for the primetime soap, Nashville, Frankie Pine, who quickly secured them for the show. In fact, much of the show’s most recognisable tracks recorded by the likes of Sam Palladio (also playing at Black Deer fest), Clare Bowen and Hayden Panettiere are Striking Matches’ – ‘Hangin’ on a Lie’, ‘This Love Ain’t Big Enough and ‘The Rubble’… we could go on. Such a magnitude of exposure secured loyal fans on either side of the pond – fans were so familiar with their music, the Nashville-based duo even sold out London venues before the release of their debut album. The whirlwind continued for the pair when the release of debut album ‘Nothing but the Silence’, produced by Grammy legend T Bone Burnett, reached number one in the UK Country Charts in 2015 and they were later crowned International Act of the Year at the British Country Music Awards the same year. As well as experiencing sweet album success, the songwriters also have a busy stage schedule – last month they took to the road to open for American Idol winner Phillip Phillips – a fitting slot to promote their pop-tinged country follow-up, ‘Shamless’, a four-track EP, released in September by Capitol Records. They have also opened for the likes of country music legend Vince Gill, Train, Ashley Monroe and Hunter Hayes. And in between shows, the country duo has been busy releasing records – ‘Retrograde’, a three-track EP was released in February and an acoustic version of ‘Shameless’ followed just a month later. Striking Matches will grace Eridge Park with their slick country tone and pop-smart lyrics when they headline on Friday 22 June. Be ready.